Following the Commonwealth Games, the master planned community will be transformed into a vibrant mixed-use centre at the heart of the Gold Coast Health and Knowledge Precinct, which includes a mix of research, commercial, retail, residential and recreational and community facilities. 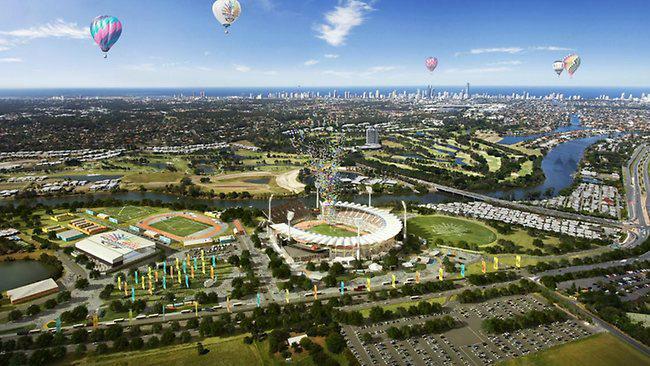 Mr Seeney said the cost to government of the Games Village would be dependent on the approach the selected development partner or consortia considered in the diversity of the residential product and the overall master plan. The successful development partner, or consortia, will work with the Queensland Government to deliver the Games Village through Economic Development Queensland, which will act as planning authority and facilitator for the development. Shortlisted bidders will be announced in mid-2013 and will be invited to submit a Request for Proposal to formulate their offer to develop the site. A decision on the final development partner selection is anticipated by early 2014. The Expression of Interest documentation is available from the Queensland Government eTender website. Interested organisations and consortia are encouraged to visit the site (www.projectservices.qld.gov.au/etender) to register, to view or download the relevant documentation. The Expressions of Interest will close on May 17. EDQ will take ownership of the Parklands site from October 1 after the current operations of the Gold Coast Parklands are expected to cease. Decommissioning of the Gold Coast Parklands is being managed by the Parklands Trust and all existing users will vacate the site by September 30 enabling the early works for the project to commence from October 2013.